Head-mounted display. 90Hz refresh rate. Field of view. 2160 x 1200 / 1920×1080. Cost, with its related consequence to content distribution. As such, we will explain popular headsets with them. No 90Hz, no 2160 pixels. Because we know: time is precious, baby, and we just ain’t got much. We will explain each headset, from the best to the…erm…rest. This blog post will be split into 2 parts. Part 1: Desktop / Console Powered Headsets. Part 2: Smartphone Powered Headsets. Just when we thought HTC would go the way of Blackberry… Bam! They remind us of their technological prowess with the HTC Vive, which in our opinion, is the best VR headset available. Interactivity: Wonderful. With two hand-held controllers that soon feel part of your body, users can tap, throw, punch, hurl. Expect intuitive interaction with the virtual environment. Ease of use: Available for sale in Singapore on the HTC online store and in physical stores of Harvey Norman. It has to be connected to a high-performance computer (no, your typical computer will not work. Neither will your fancy Mac.) and you will find a small net of wires around your setup. Cost: SGD$4350. It retails in Harvey Norman for around SGD$1350. Add another SGD$3,000 for your high-performance computer and wazam! $4350 down. You ain’t going to buy too many sets of this – if mass distribution of content is what you are prioritizing, you will not go for this. Unless you really have tons of cash to burn. Almost everyone has heard of Oculus. Including the famous story of it’s founder, Luckey, whose company was acquired for US$2bn to Facebook. At that time, he was 22 years old, talk about being Luckey. User experience: Great experience, we place it in the same category as HTC Vive. As user experience has a degree of subjectivity, some will argue it’s better than HTC Vive. Interactivity: When they released their touch controllers in Dec 2016, users were able to use their hands to interact with the environment. Similar to HTC Vive. Ease of use: Not officially available for sale in Singapore. However, there are several vendors that will import it from places like the USA into Singapore. Dealing with such vendors is slightly cumbersome and out-of-stock issues are common. Like the HTC Vive, this headset has to be connected to a high-performance computer. Cost: SGD$4100. Buying it from importing vendors will cost around $1,100 to $1,300. Don’t forget SGD$3,000 for your high-performance computer and you are easily $4,000 out-of-pocket. Cheaper than the HTC Vive, but just by a wee bit. Sony’s foray into VR was anticipated with bated breath. 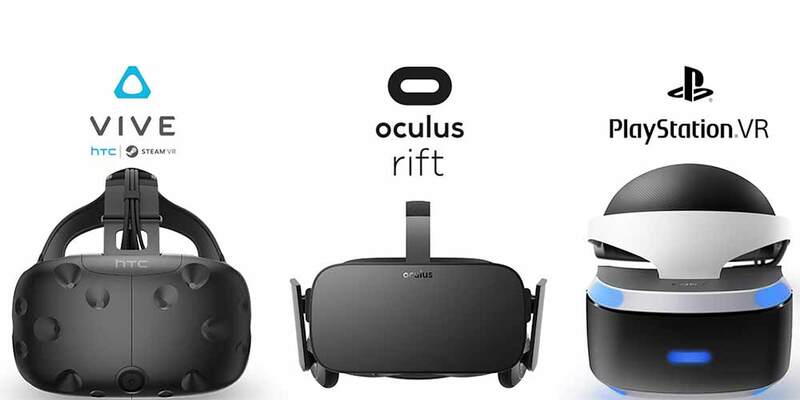 With it’s wide customer base of gamers, it naturally has a strong library of VR game content. User experience: Observably inferior to HTC and Oculus. Screen resolution is poorer and can induce small bouts of motion sickness. However, for users who are new to VR, it will still blow them away. The headset materials are also comfortable and stylish. Interactivity: Hand held controllers are available. Overall, it is smooth but it has the occasional tracking errors – what you see on the screen may not accurately match your controller movements. Cost: SGD$1,300. Here’s the big reason why PlayStation VR was sold out. It gives you roughly 80% of the experience of HTC and Oculus, but at a fraction of the cost as you do not have to purchase a $3,000 high-performance computer. When it comes to value per dollar, it comes out on top. HP, Dell, Acer and Lenovo are some of the big names that are creating headsets that promise to disrupt the status quo. Their main aim is to provide the same experience yet deliver these headsets for below USD$400, which is basically slashing the prices of HTC and Oculus by half. All these will be released in 2017. At this juncture, it is beneficial to take a breather. Basically, we have just covered the high-end headsets category: HTC Vive, Oculus Rift and PlayStation VR. While providing deeply immersive experiences, they are limited in their distribution as few have such hardware. For corporate marketing purposes, this is critical. For marketers, smartphone powered headsets may hold the key to their conundrum. Read Part 2 of this write-up to find out more! © COPYRIGHT 2017 VIZIOFLY - ALL RIGHTS RESERVED.